Apr. 24, 2018 12:37 p.m.
With big public events come a big responsibility for celebrants to clean up after themselves. 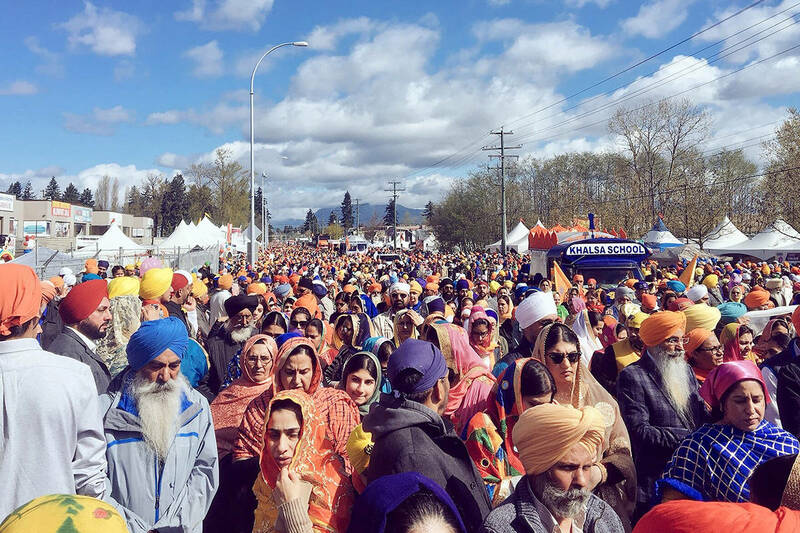 Take Surrey’s 20th annual Vaisakhi parade on Saturday. They say half a million people hit the streets in Newton. Food was enjoyed. Countless paper plates, plastic forks, black garbage bags stuffed with trash, everywhere. You get the picture. But to the celebrants’ credit, within hours after the parade all that garbage was gone, and all that remained on 128th Street to attest to it having hosted that epic Vaisakhi event was dusty pavement where so many feet had trod. And then, there’s Vancouver and the 4/20 crowd last Friday. Sunset Beach Park was where roughly 40,000 marijuana fans showed up to enjoy Mother Nature, at least figuratively speaking. In its wake, news reports indicate the Vancouver Parks Board will require about 10 weeks to repair damage to that park, although the board has since backed off that estimate somewhat. So, for that time, the park will be closed to everyone. It should be noted that while the Vaisakhi parade was on pavement, 4/20 took place on — ahem — the grass. Consider it, though. Half a million people attend an event in Surrey, and in its wake things are cleaned up within 10 hours. Forty thousand people attend an event in Vancouver, and they’re talking 10 weeks to set things straight again. What’s your favourite Vaisakhi treat?